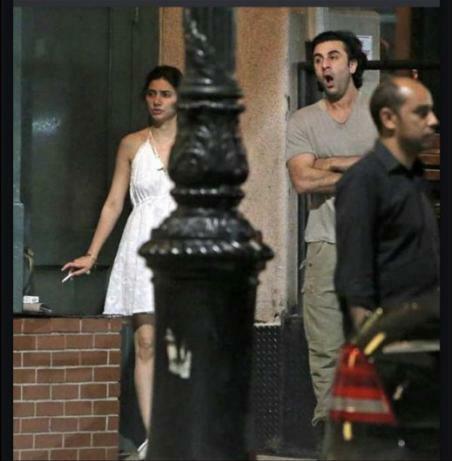 In the month of September last year, a smoking picture of Bollywood actor Ranbir Kapoor and Pakistani actress Mahira Khan who was last seen in 'Raees' with Shah Rukh Khan went like fire on the social media where they both were seen spending some quality time with each other. What caught everyone's attention was Mahira's short clothes and a cigarette in her hands because of which she was trolled badly. In a recent event, the actress spoke about how she felt about the whole fiasco. While talking during BBC World News' HARDTalk, she said that felt "violated" after her picture with Ranbir went viral on many platforms. She called the incident strange and said that it was the first time that she was caught in such a controversy. Talking about the same she said, "That was the first time in my entire career that I was caught up in a so-called controversy and it was strange because there were so many things in that. One, obviously you feel violated, you are in a personal downtime moment and someone has just photographed you." She was even criticized for wearing short clothes and smoking a cigarette about which she said, "Obviously there was an uproar, because here I was, someone who is extremely loved in Pakistan, and they sort of keep me up on this pedestal you know, they treat me with a lot of love and a lot of respect. And there are certain things I didn't realise that they don't want to see me do. At that point yes, it was crazy honestly because it lasted for a while... It was crazy, it was ridiculous." Talking about work front Mahira will next be seen in films Saat Din Mohabbat In, the poster of which she shared a few days back on her social media account and Maula Jatt 2.